Ultimate Apps to track your Android Phone	No ratings yet. If your reading this article, odds are: you may have misplaced/lost your phone, trying to track someones phone or because of experience- researching the best android phone trackers in case your phone gets misplaced. But if you’ve lost your cell phone already, and you’re trying to track the phones location , I recommend the android device manager; because other android tracking apps must be set up which you may not have done before the phones misplacement. Although the chances of locating the phone are slim if your account was not setup. It is built into every android phone(mostly running 5.0 and above). 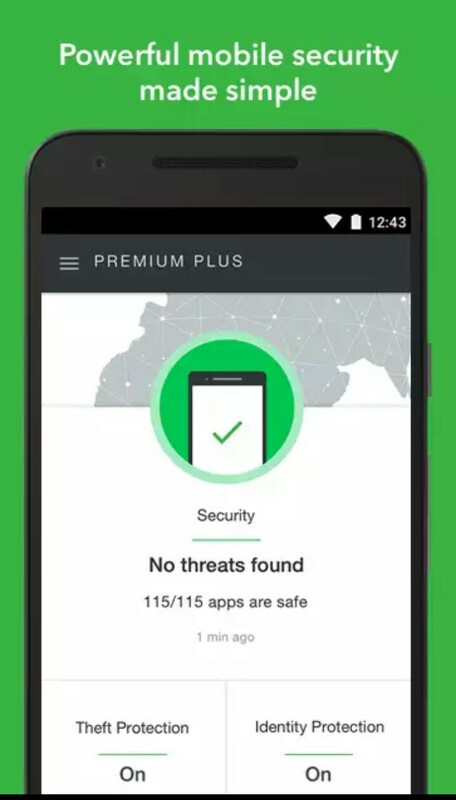 In case you have not done that, go to your android device administrator (Settings>Security>Device Administrator), if the adm (android device manager app) is not pre-installed, download the app from the google playstore manually. For best locating results, your phone should be connected to a Wi-Fi signal, but GPS and mobile networks will still manage to pinpoint a fairly accurate location. 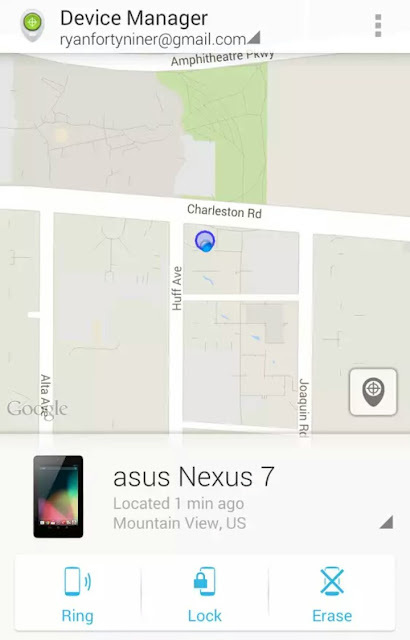 download Android Device Manager from the Google Play Store . This locating service has essentially amalgamated with Google to make finding your phone easier. There are just a couple of things you’ll need to activate. 4. Tap Android Device Manager so that a checkmark appears in the checkbox. 5. Tap the back button in the top left corner of your screen. 6. Tap the back button again in the top left corner to return to the main Settings menu. 7. Tap Location in the main Settings menu. 8. Tap the switch beside Location at the top of the screen so that it turns on. 10. Tap High accuracy so the circle is filled in. 11. Tap the back button in the top left corner. 12. Tap Google Location History . 13. Tap the switch beneath Location History so that it turns on. 14. Tap the switch beside your device so that it turns on. Launch a web browser from a phone, tablet, or computer. 1. Navigate to Google if it is not your default search engine or home page. 2.Type find my phone android in the Google search bar. 3.Tap on Android Device Manager (usually the first option in the search). 4. Enter your email address and password just as though you were checking your email. If you have 2-step verification set up on your Google account (and you most certainly should), you’ll need to complete that process as well. 5. You can Ring your phone so that it makes noise (even if you had it on silent). This feature is helpful if the map indicates that the phone is within earshot and you simply can’t see it. -You can Lock your phone so that the finder can’t access your home screen. This feature is most helpful if your phone wasn’t previously secured with a passcode or a fingerprint sensor. -You can Erase your phone. This is the best option if you know for certain that you aren’t likely to retrieve your phone. While Google’s built-in option is definitely your best bet, there are some third-party options you might want to consider. We’ve broken down the best third-party apps for finding your phone below. Cerberus is the best protection you can get to recover your misplaced, lost or stolen Android device. 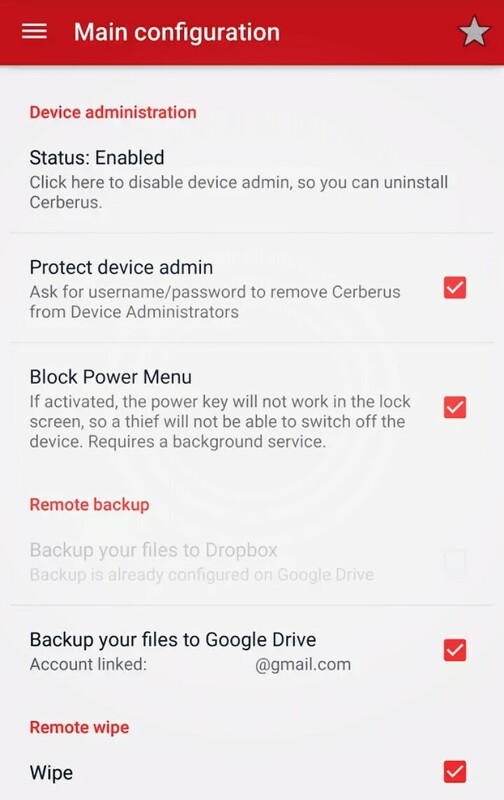 It’s not just a “find my phone” app or a phone tracker, Cerberus has many unique features that make it the perfect app to locate your phone or tablet, identify the thief and get back your device. The app works even if the device does not have an Internet connection thanks to remote control by sms messages. Also, the SIM Checker feature allows you to know the new number to send texts to, if the SIM card is changed. Personally for me Cerberus is the best android device locator and that’s why I started with it. Lookout is the second on the list and its introducing something called Breach Report and Identity Protection, it’s their newest security services that helps protect your personal information and restore your identity if it’s ever stolen. • Locate & Scream: Map the location of your device and make it sound an alarm – even when it is on silent! – Lost Wallet Recovery: If your wallet is lost or stolen, restoration experts will work quickly with you to contact document issuers to cancel and reorder credit cards and identification contents. It simplifies life in the digital world by making it easy to stay connected to the people who matter most. – Create your own groups, called “Circles,” of loved ones, friends, teammates — whoever matters most and chat with them in Family Locator for FREE. It helps you plan your next family gathering with family tracker and end multiple texts to learn everyone’s estimated arrival time. Family tracker alerts you when family members have checked in at a location and thanks to GPS Tracking technology, family tracker can also advise if someone is running late. Family Locator can quickly pinpoint the location of every family member. GPS Tracking for non-smartphone users is also possible, for a small monthly fee. This knowledge is quite handy for party planning: use GPS Tracking to make sure all guests have arrived before the guest of honor shows up! Family Locator also saves your most commonly visited locations and can provide directions to them quickly. 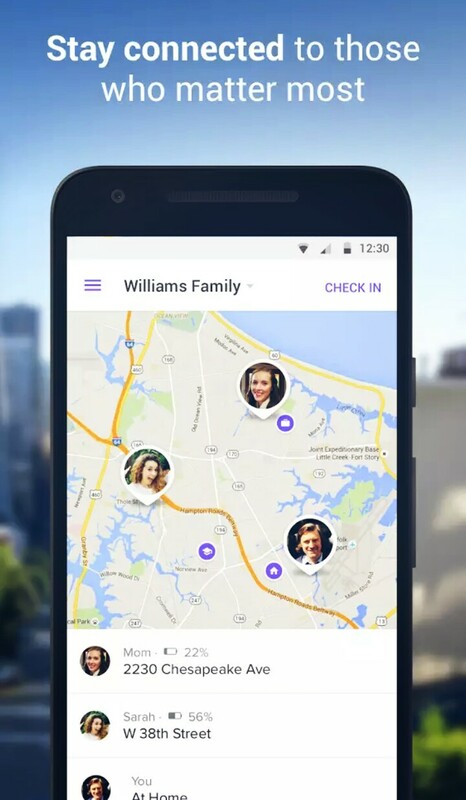 The unique thing about family locator is that it helps you stay in touch with family and it also gives real time protection; it therefore offers both pleasure and realtime protection. _Read also: Want to know more about the new Nokia 3310? Helps you retrieve your lost or stolen phone, tablet and laptop. Prey is 100% FREE and you can protect up to 3 devices with one single account. 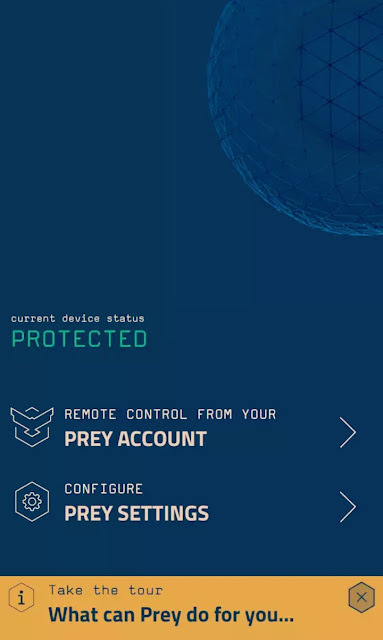 Prey works on all major operating systems, so it lets you keep track and trigger actions on all your devices from a single place. Like a universal remote control, but for laptops and mobiles. – Gather the network information that your device is connected to (for accurate pinpointing). It’s one of the first find your phone app on the Android Market and it’s now with more features, it is easier than ever to track down your lost phone. Where’s My Droid can turn the ringer volume up and make your phone ring. The app can also get the GPS coordinates with a link to Google maps if you’re not near enough to your phone to hear the ringer. You have the freedom to track your phone from anywhere with a text messaged attention word or with our online Commander. Feel secure knowing that a thief won’t be able to access your personal information on your lost phone. 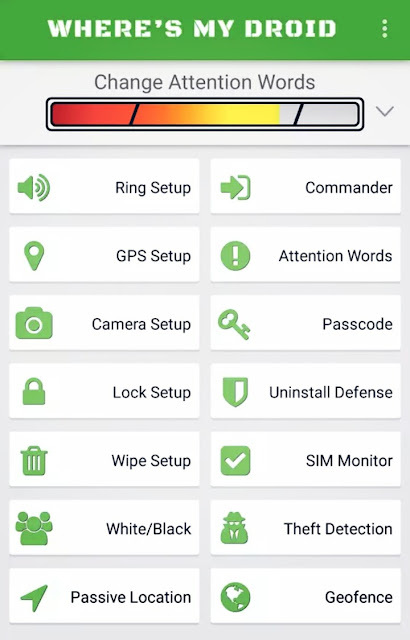 In the Pro version you are able to wipe and lock your stolen phone. Locking your phone will make it unusable while you try to track your lost phone’s location. If there is no hope of finding your phone, then you can erase your personal information with the wipe feature. 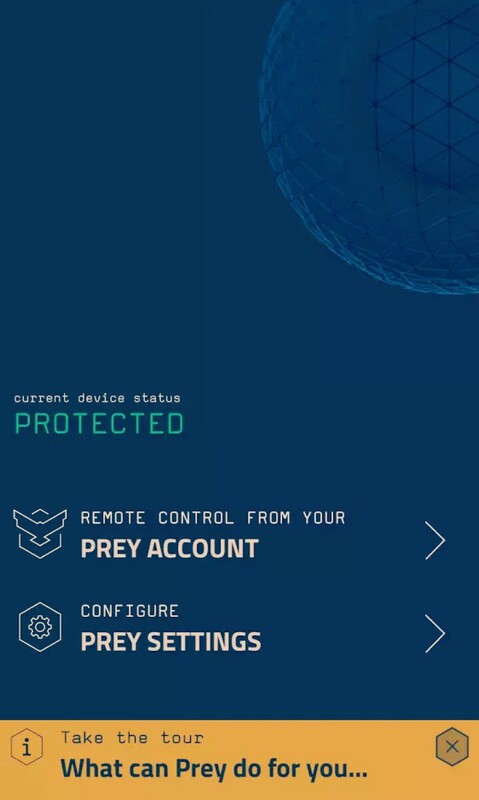 Cerberus App Way cool! Some extremely valid points! I appreciate you penning this post plus the rest of the site is very good. Thanks for sharing the information! |Great help for those who lost their phone and trying to track their android phone. Nice article and thanks to share this information.